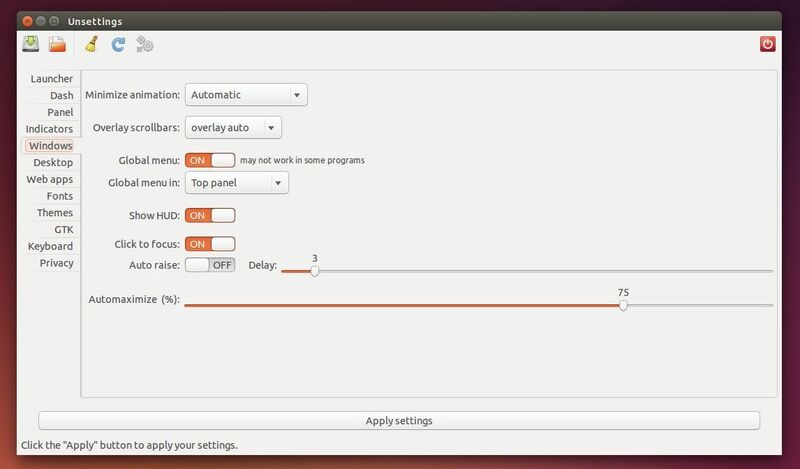 Unsettings, the graphical configuration tool for Unity desktop, is “back” by releasing the 0.09 release with Ubuntu 14.04 and Ubuntu 14.10 support. It has been 2 years since the last 0.08 was released in 2012 with support up to Ubuntu 12.10. Unsettings is developed by Florian Diesch, the man behind Classic Menu Indicator. It allows you to change setting for the Dash, Launcher, Panel, Indicator, Privacy, Fonts, Themes, and more. There are also some options that Unity Tweak Tool and Ubuntu Tweak don’t have, such as Web Apps, Menus/Buttons have icons, Keyboard settings, etc. 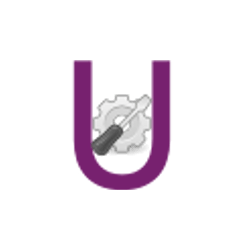 Download the binary package (.deb) from the link below, then double-click to open it with Ubuntu Software Center and finally click install Unsettings. Once installed, start the configuration tool from the Unity Dash and enjoy!